You are at:Home»Hobbies»Introducing… Heft Clothing! Statistically, Australia is one of the ‘heaviest’ first world countries on Earth – according to the World Health Organisation, we’re 26th overall (the United States is 12th). So there’s a very good chance that you, the person reading this article, is a larger guy… or at the very least, you know one. Now, ask yourself: what does a big guy wear? Many of you will likely think of John Belushi in Animal House (large, baggy sweaters and boardshorts), John Goodman in The Big Lebowski (bowling shirts), or Jorge Garcia in Lost and The Comic Book Store Guy from The Simpsons (both of whom dress quite similarly). Others will simply think ‘Hawaiian shirts’. But, it turns out that not every big guy wants to wear hideous clothing (funny, right? ); rather, they would prefer to lead a ‘normal’ life where they aren’t expected to perform like loud, boorish monkeys for your entertainment. Founded by multi-award seeking magazine editor Paul Skelton, Heft Clothing is on a mission to redefine plus size menswear by implementing his real world experience as a big guy into the design of modern clothing that is designed with big guys in mind. “There’s this mentality in society that big guys should dress – and act – like clowns. As a big guy myself, I know there’s an expectation on me to be a wild party animal in every situation – it’s just crap,” he says. Paul says because of his size, he is able to hone in on the areas of menswear that need attention to ensure big guys’ needs are being met. “It’s funny that even though the two of the most common sizes sold in Australian clothing stories are 3XL and 4XL, only three companies solely service that market. Paul says Heft Clothing is setting itself apart from the competition by actually designing clothing with big guys in mind. “So much of the plus size clothing on the market today is slim-cut. Why? This doesn’t make sense. “As for the stuff that does fit? Chances are it’s hideous. 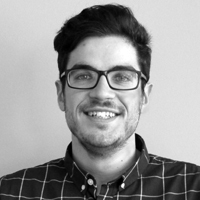 That market is largely around big guys aged 16-49 who want to have a bit of dignity in the way they dress – or the ‘young at heart’ who don’t want to walk around is a polo shirt. “With Heft, I’m really targeting two groups; big guys who don’t want to wear Hawaiian or bowling shirts anymore and anybody who knows a big guy,” says Paul. Aside from his justifiable hatred of Hawaiian and bowling shirts, Paul says Heft is waging war on unwanted arse cracks. “Nobody wants to see a big guy’s arse crack so Heft shirts will have length,” he says. 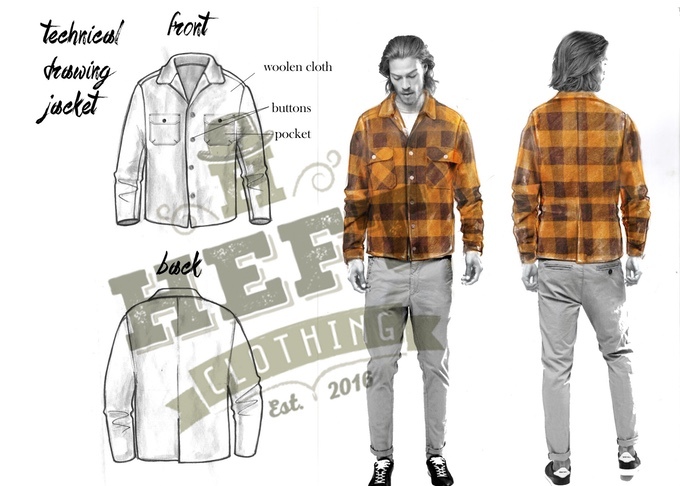 The future of Heft Clothing is now very much in the court of the wider public, with the company now seeking funding on Kickstarter. In order to begin the manufacturing process, $25,000 needs to be pledged with different rewards given depending on the amount. “If I can get this project funded, perhaps the best way to celebrate would be to get everyone to pool their bowling shirts together and burn them in a giant bonfire – who’s with me? “The scourge of the bowling shirt really must come to an end. People don’t bowl anymore, and those that do don’t wear bowling shirts. For more information on Heft Clothing, visit www.heftclothing.com.au or check out the Kickstarter page here.